Warm Brussels Sprout Slaw with Mustard Seeds (minus the walnuts). I also used two teaspoons of powdered mustard instead of mustard seeds. Love! I could eat this everyday! 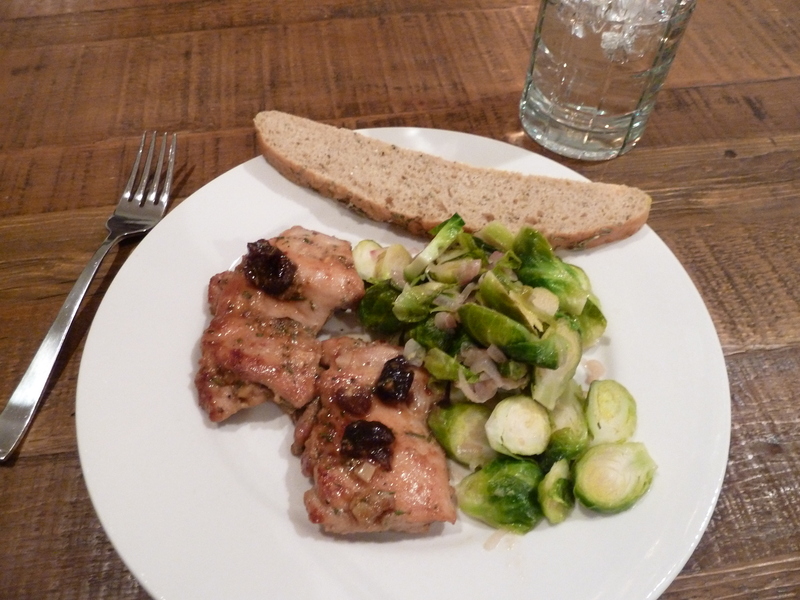 Then there was my Rosemary and Fig Chicken Thighs. I’ve made this chicken a few times before. Slightly sweet but with the kick of garlic and a slight heat from the red pepper flakes. The rosemary adds another layer of flavor that I think makes the dish taste like you spent hours in the kitchen! Place chicken in a medium bowl. In a separate small bowl mix the next 6 ingredients and 1 tablespoon of the oil. 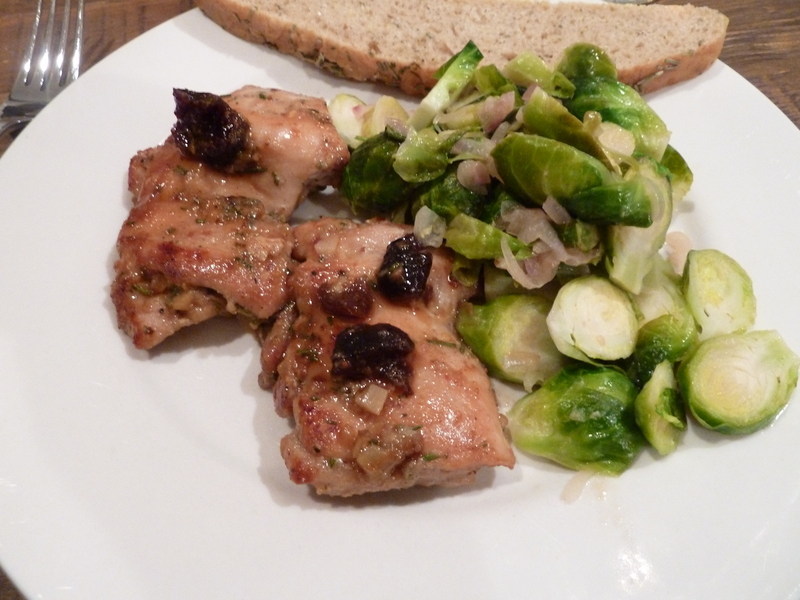 Combine the fig, rosemary mixture with the chicken, it should be enough sauce to just coat all of the chicken. In a large saute pan heat the remaining tablespoon of oil over medium heat. Add the chicken mixture and cook the chicken so that you only turn it once and it sort of caramelizes on both sides.